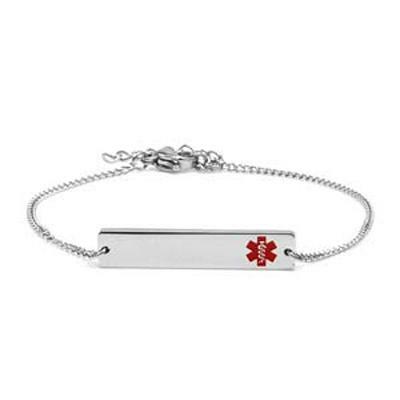 Our "bar style" stainless steel medicalbracelet with red medical symbol features a lobster clasp closure. Bracelet adjusts to fit wrist sizes 6" to 7-3/4". Bracelet can be worn in water. Avoid prolonged exposure to chlorine, acid or other chemicals as they may damage the finish or medical symbol. This laser engraved item not eligible for further discounts. SIZING - MEASURE CAREFULLY, Bracelet cannot be re-sized. FIts wrist size 6" to 7-3/4" Only! 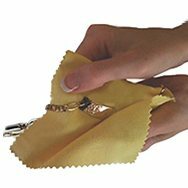 Wrap a soft tape measuring around the wrist where you will wear your bracelet to get the correct wrist measurement.